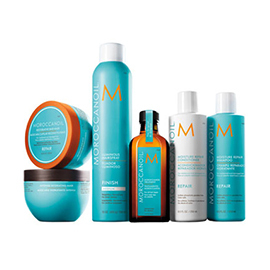 MOROCCAN OIL hair products are focused around staying at the forefront of hair technology and evolving with the ever-changing needs of salon customers. They provide a large selection of hair shampoos, conditioners, and styling aids. They also carry a large line of Hair Color products which combine new technology with the latest techniques to create a revolutionary color experience that is gentle on hair. 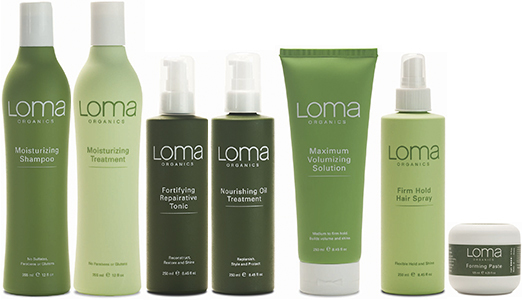 LOMA products contain a great blend of only natural ingredients to ensure that they are gentle on hair. They deliver great results while focusing on many different hair types. Loma products are sourced, formulated, manufactured, and fill all their own products. Loma ensures there are no traces of harmful materials, therefore only buy from the finest raw material manufacturers in the world.